Wild blue phlox or woodland phlox is a slow-growing herbaceous groundcover belonging to the Phlox plant family Polemoniaceae. 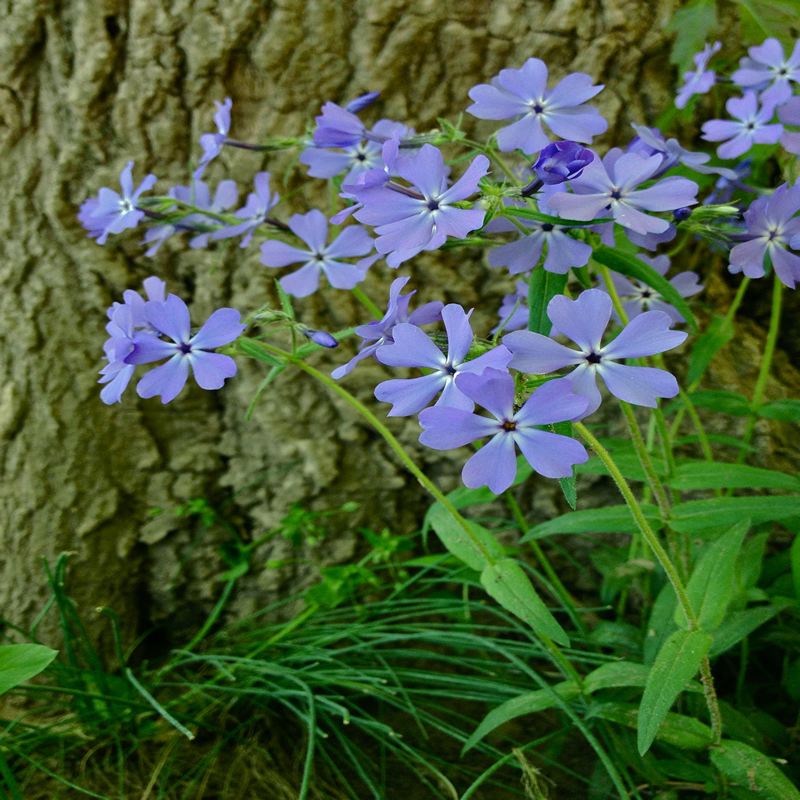 At maturity, wild blue phlox can reach 12-18 inches in height and 8-12 inches in spread. The opposite, narrow leaves are slightly pubescent just like the stem. One subtle feature to observe is that the leaf tips tend to be blunt. The flower of P. divaricata blooms April through May. The five petaled flowers are shallowly notched. The flowers of wild blue phlox are cross pollinated by bumblebees, swallowtail butterflies, skippers, and moths.